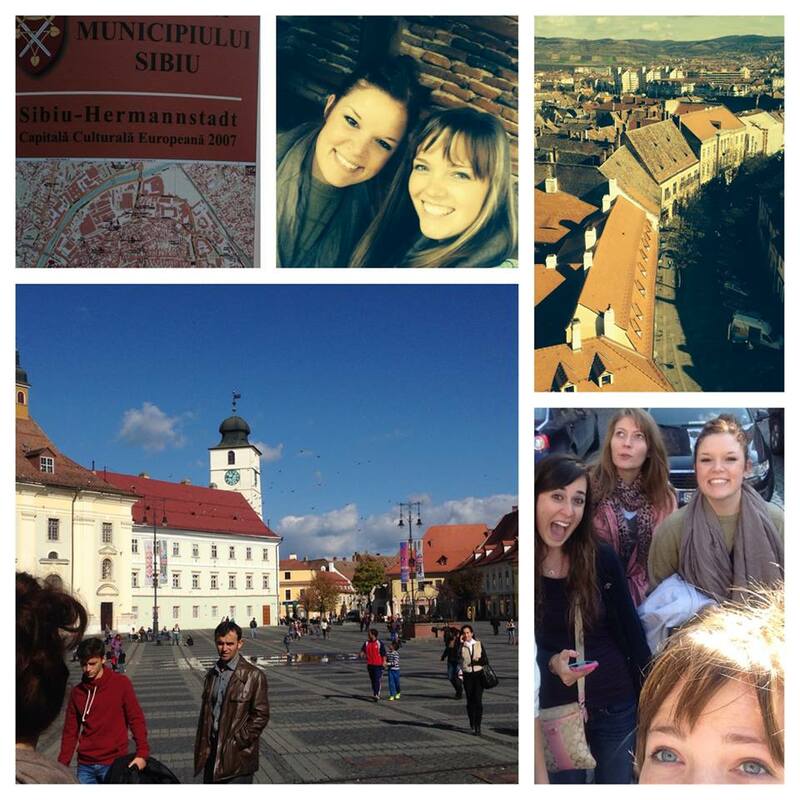 Today we traveled by bus to the lovely and historic city of Sibiu! We started the day with a tour provided by our Romanian teacher, Elena. We walked on the first iron bridge built in Romania, which is also known as the “Bridge of Lies” or “Liar’s Bridge”. According to legend, if one were to tell a lie while standing on the bridge, piece by piece it would start to crumble. This bridge is a popular destination for lovers to pledge their vows, and many wedding photos are taken on this bridge. 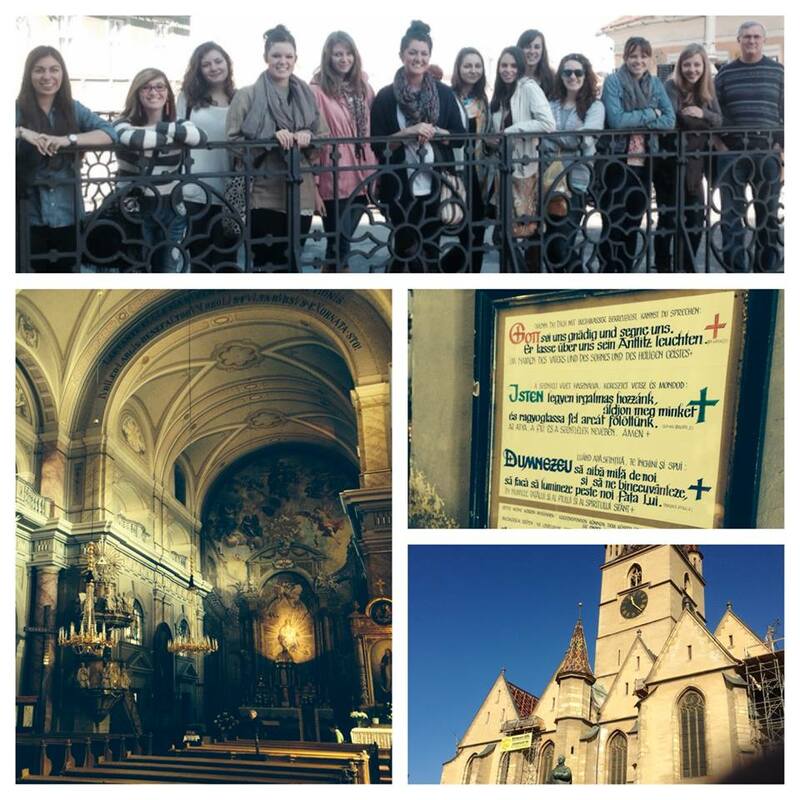 Top photo: most of the group standing on the Bridge of Lies; Bottom photos: one of the many beautiful churches in Sibiu! 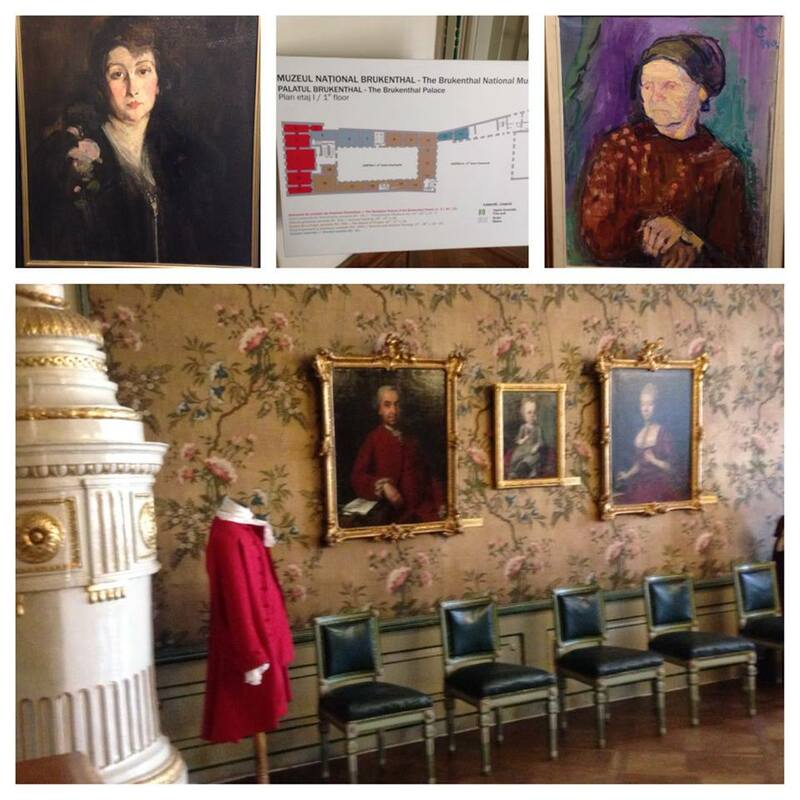 Some of the group also toured the Romanian art in the National Brukenthal Museum – where we were able to use our International Student ID cards to get a large discount! 😉 The museum was fantastic, and I thoroughly enjoyed myself! I think that my favorite piece of the day was by Gheorghe Tattarescu. I unfortunately was unable to snap a photo because at this point in the museum I was told that taking photos was not allowed (oops!). In the art gallery before I saw the sign that taking pictures was not allowed! Spending the day with my crazy-fun girls was the best part of the trip! After our tour in the morning was over, we drank coffee and relaxed in the city center where we observed other people also enjoying their day in the sun. We shopped, found a cool bookstore, took a lot of goofy photos, and laughed a lot. It was a great Saturday, and I am so blessed to have met all of these awesome people! 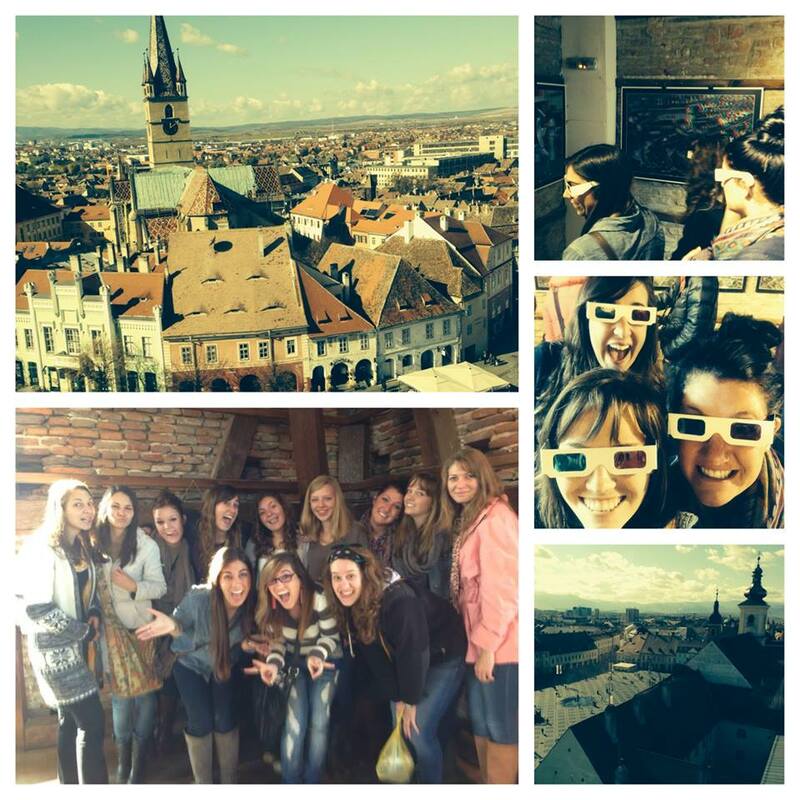 We climbed to the top of the clock tower where the view was fantastic and they also had 3D art! I hope you’re having a great day!! La revedere!